Portland's Liz Harris (Grouper), Scott Simmons and Jed Bindeman (Eternal Tapestry) clear the pop air with a brace of raw, blown-out fuzz-pop paeans under the Helen mantle. 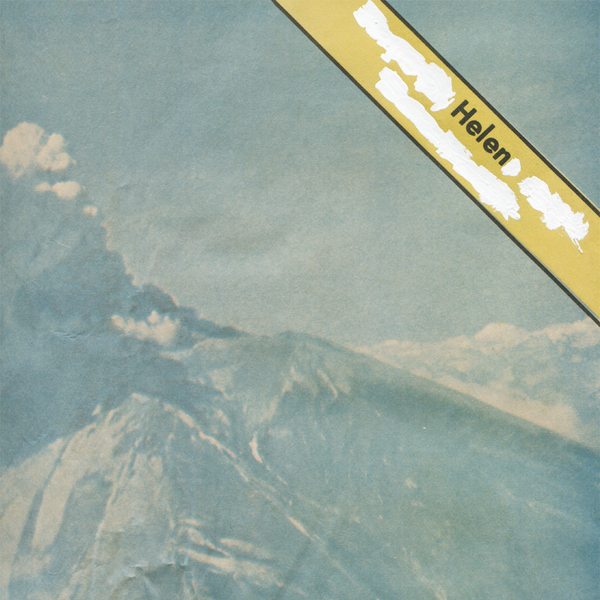 After debuting the Helen sound with a 7" on Yellow Electric in 2013, they rustle up an eleven track album nodding as much to early Creation Records as much as Flying Nun's '80s Kiwi distorto-pop thistles and reverb-drenched '60s garage. As you might expect from any project fronted by Liz Harris, it's an emotionally wrought and cathartic sound but, unlike almost anything else she's involved with, it's got a more direct pep and pacing that doesn't allow one to wallow as we follow their cutting hooks and jangle thru degrees of extremity, variously revealing Liz as occasionally legible, yet more often a glossolalic presence engulfed by bittersweet riffs and spraying drums. Prepare your soft pink pop underbelly to be slashed with gauzy glee.